← How independent are your kids in learning? At a blink of the eye, we have come halfway through the year, and the month of June seems to be the busiest one for our family as well as our Clic family! 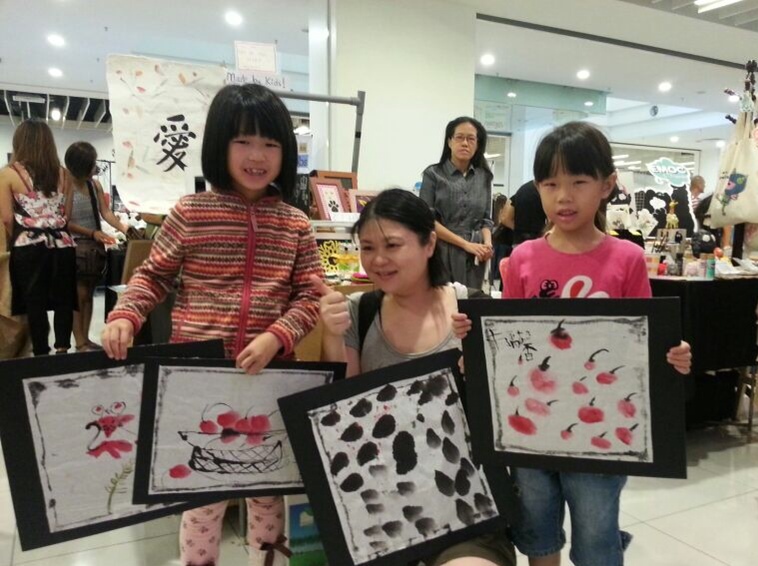 Starting with our participation at “Art for Grabs” held at The School @Jaya One, which had the parents and children busily creating art and crafts together several weeks prior to the event. Their excitement was hard to contain – ideas kept pouring in and they wanted to make EVERYTHING!!! But we had to draw the line at the final day of consolidating all the items for sale. And they did have a lot to sell! 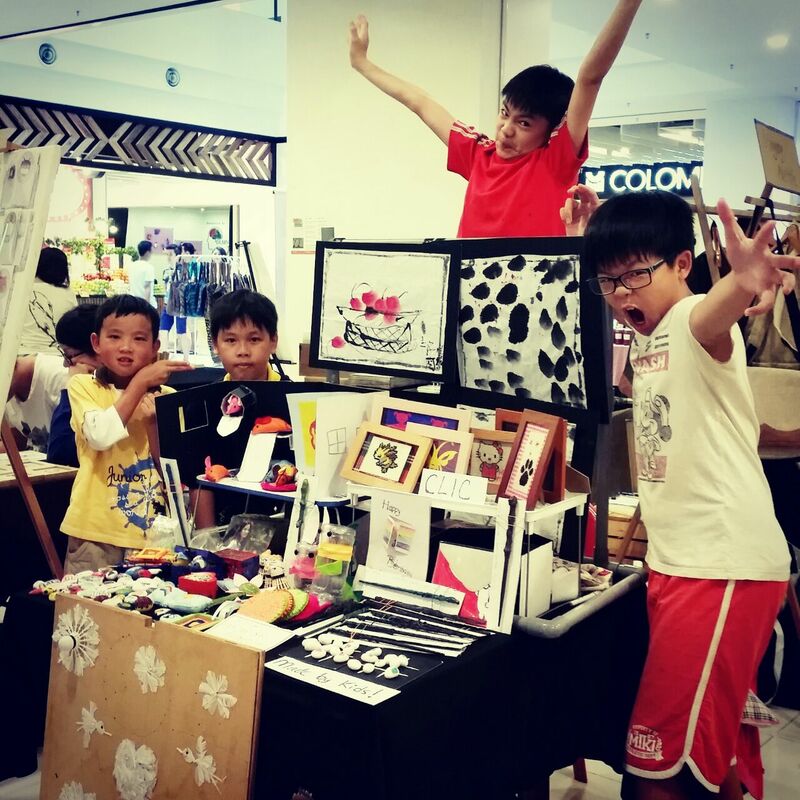 Our worry was not the lack of art items for sale but rather, how are the little kids going to sell them all amidst so many other adult-manned stalls at the art bazaar? It turned out that our worries were totally unfounded because the children showed us adults how honesty, hard work and ingenuity work to bring to fruition their creative and artistic talents! And one would have thought that this was a bad idea because people would take advantage of this and pay very little for a lot. Well, guess what? That did not happen. Well, maybe just ONE young customer who did the unthinkable – she came to the stall, picked some nice items and paid rm2 for those. Then, to the horror of the kids on duty, she returned to try to repeat the feat! 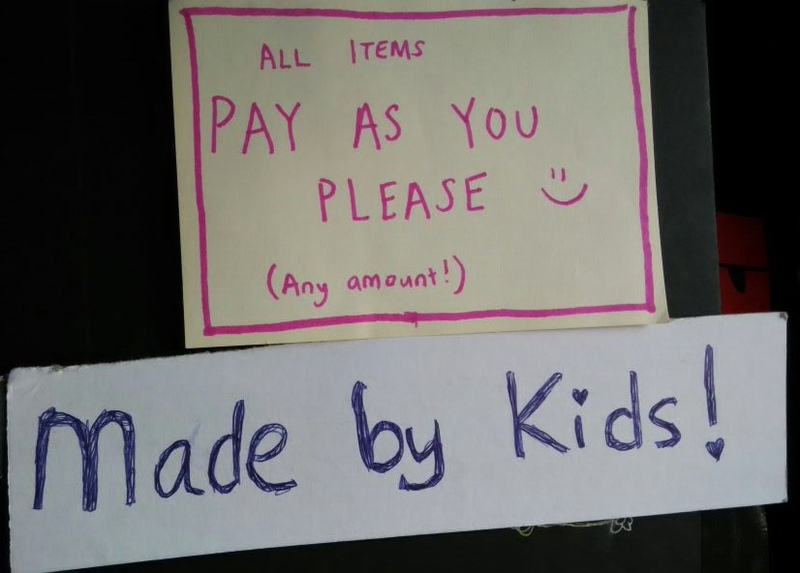 But all’s well that ended well – the young girl was a very happy child that day because with only a few ringgit she could exchange it with such lovely craft pieces! That was how we consoled them 🙂 Sometimes they need to just let it go so as to make someone happy! And the good news is, there are more people who would pay good money for good art which they appreciate. One lady, for example, came and bought ALL the art pieces done by the girls! She was genuinely taken in by the freedom of strokes that only young children seem to possess. And that truly inspired the kids to do more art pieces for future sales! 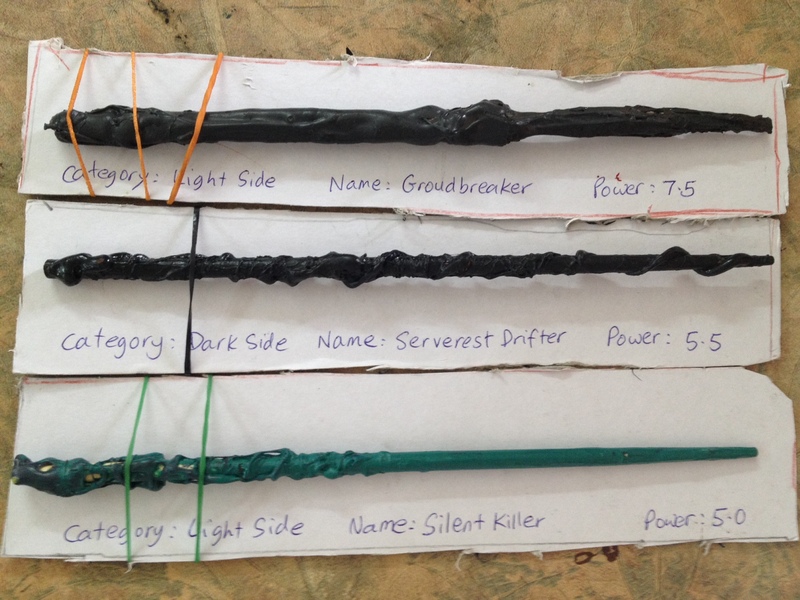 And the boys’ hand-made wands were ALL SOLD OUT!!! That’s a first for them and it’s a great motivation factor for them to make more wands for future sales. What made the difference this time was perhaps the details that went into naming each wand and assigning the category and power of each one. The packaging was quite nice too with a black cardboard backing with a rubber band holding the wand in place. The next time perhaps is to create a story behind these wands with a game thrown in for some competitive fun! And yet another brother-sister team were Lewis (9) and Ro (8) are no newcomers to selling products as their parents make designer chocolates to sell at chocolate fairs! Sisters Fran (12) and Fiona (8) says they enjoyed making and selling the art and crafts as well as visiting other stalls where they get new ideas for future projects! Not bad for these young entrepreneurs absorbing the finer intricacies of entrepreneurship! They have much to teach us about having the right spirit and drive for success! Congratulations to the whole team for a fruitful weekend! Besides the art event, there were many other activities going on during that weekend like talks and workshops and performances by the refugee children. Amrita’s Treehouse Open Mic was held on both days and provided the venue with some much-needed songs and music! Funds raised from the art vendors was donated to the UNHCR refugee fund. All in all, it was a very successful event for Arts for Grabs!